Bedel Financial is a comprehensive, fee-only wealth management firm founded in 1989 and located in Indianapolis. They hold themselves to the highest standard of care since the firm was established. Their client-first approach is built on transparency and trust—no commissions, no products to sell, no conflicts of interest. Just confidence and peace of mind, so you can focus on the moments. Bedel Financial has been our client for many years. They chose Mojo to help them rebrand and develop a new website for the company in 2018. Our first challenge was to create a new logo and various brand assets. Next, they wanted a responsive, modern website that would bolster their new look and work as an effective marketing tool. Mojo worked closely with the Bedel team to create a new brand that reflected the growth and maturity of the company. Taking the time to do rebranding work first before developing the website was a key factor in the success and smoothness of this engagement. The Bedel team was a pleasure to work with throughout the process, and their dedication to the project shows in the final result. Bedel was prompt and responsive in gathering everything that we needed, including high-quality photography of their staff and gorgeous new office space. This level of teamwork and trust is what it takes to deliver a stunning website that sets new standards for their industry. We started by defining their vision for the updated branding. During this planning process, we spent time listening to the client tell their story and their vision for the new brand. 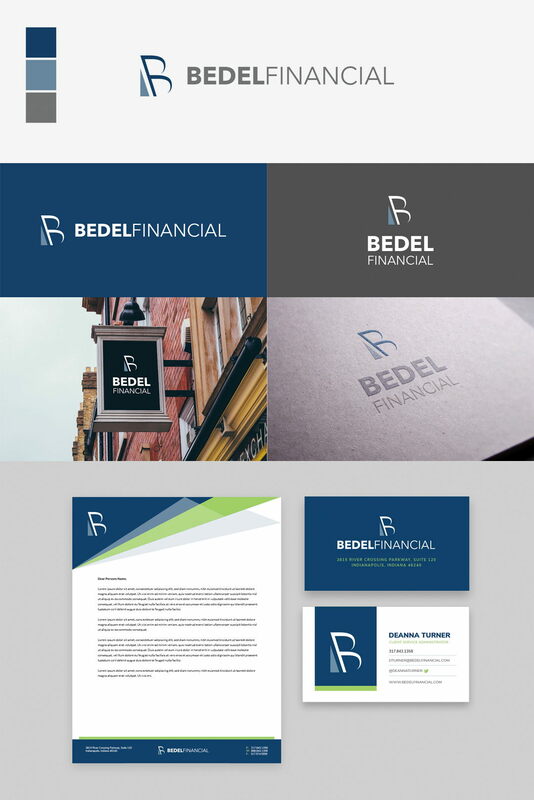 Then, we presented several logo concepts with varying color palettes for Bedel to choose from, refining the design until the client was happy. The client sent pictures of their new building while we were developing logo concepts, so we had a good idea of the spaces that would house the logo. We knew that branding elements would be on interior walls and the exterior of their building and that it needed to make a statement. Next, we developed a new style guide with various print assets, from business cards to letterhead, and other marketing collateral. The new website is fresh, modern, and beautifully designed. It reflects Bedel’s status as an industry leader and features clear calls-to-action, proof of authority, and well-organized content. 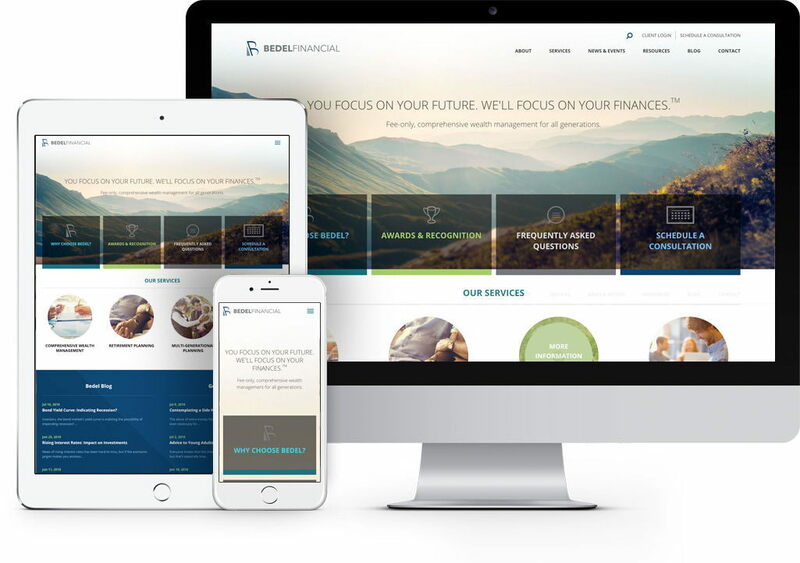 The site is built on Zephyr, a content management system that is fast, easy to use, and offers the flexibility and security that clients like Bedel Financial demand. The Bedel team was a pleasure to work with and their dedication to the project is apparent. In the end, a website is only as good as the team behind it. Bedel was dedicated to doing whatever it took to ensure their rebrand process and website went smoothly, and it did. Their investment in high-quality photography, content writing, and a feature-rich website enabled the Mojo team to deliver amazing results. This level of teamwork and trust is rare, and we truly appreciate all of the folks at Bedel Financial!